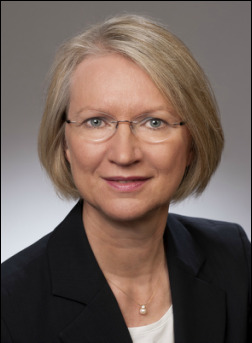 Monika Schnitzer is Professor in Economics and holds the Chair for Comparative Economics at the Ludwig-Maximilians-University of Munich. Professor Schnitzer`s main research interests are the internationalization and innovation strategies of companies and obstacles that are caused by financial restrictions, contractual insecurities and political risks. She is deputy chairwoman of the Commission of Experts for Research and Innovation that was established by the German government in 2007. In 2015 and 2016 she served as president of the Verein für Socialpolitik (German Economic Association) and from 2003 to 2006 she was member of the Economic Advisory Group on Competition Policy of the Directorate-General for Competition of the European Commission. Since 2001, she has also been a member of the Scientific Advisory Council of the Federal Ministry for Economics Affairs and Energy. For her excellent scientific work, Prof. Schnitzer was rewarded with the Akademiepreis der Nordrhein-Westfälischen Akademie der Wissenschaften in 1996. Since 2008, she has been a member of the Bayerische Akademie der Wissenschaften (Bavarian Academy of Science). In 2005, she received the Verdienstorden der Bundesrepublik Deutschland (Order of Merit) and in 2012, she received the Bavarian Order of Merit. From 2006 and 2009, she was the Dean of the Economic Faculty and since 2007, she has been the chairwoman of the University Research Board at the Ludwig-Maximilians-University of Munich. Prof. Schnitzer studied Economics at the universities of Cologne and Bonn as well as at the London School of Economics. She received her PhD at the University of Bonn in 1991. She was visting professor at the MIT, Stanford University, Yale, the University of California at Berkeley and Harvard University. Monika Schnitzer is co-organizing the Munich Innovation Seminar.